Does the price of New York City real estate get you down? 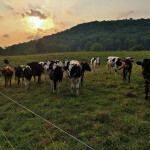 Then consider this: an organic farm nestled within the Catskill Mountains with additions like a pool and art gallery, plus barns, an equestrian facility and enough land to hold 200 cows. 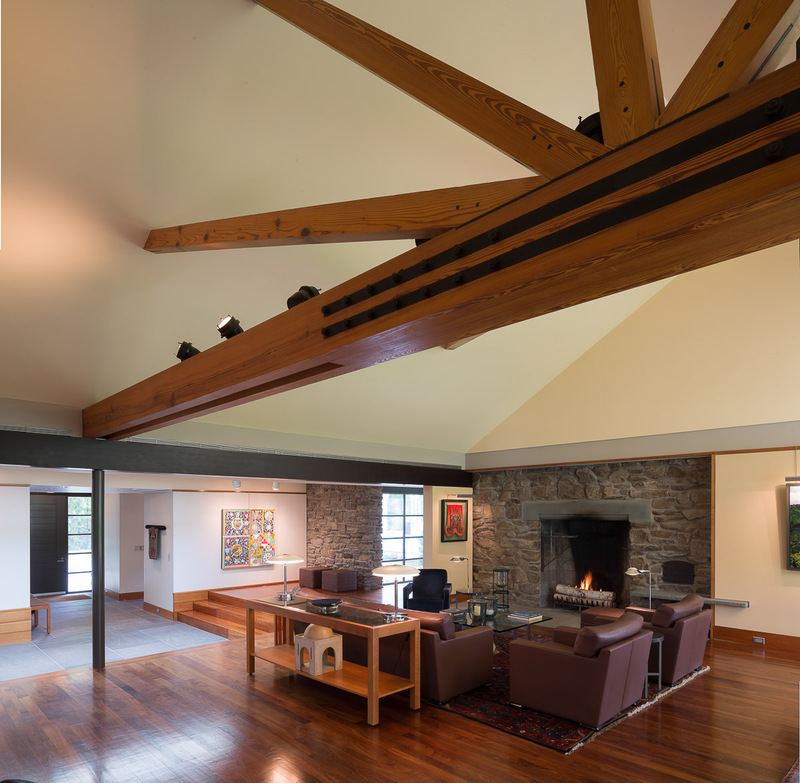 And this isn’t just any farm–Charlotte Valley Organic Farm, as it’s called, has been featured in the Wall Street Journal, Architectural Digest and this very website for the merits of the modern residential addition built in 1992. 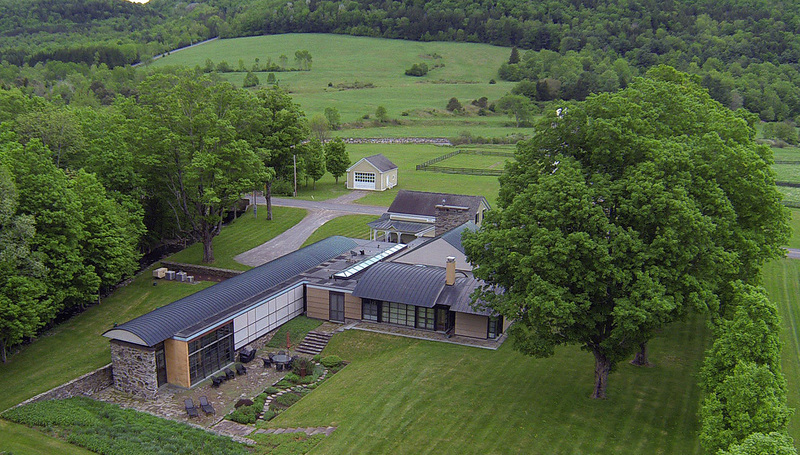 So what’s the cost for this unique upstate property? Take a deep breath. 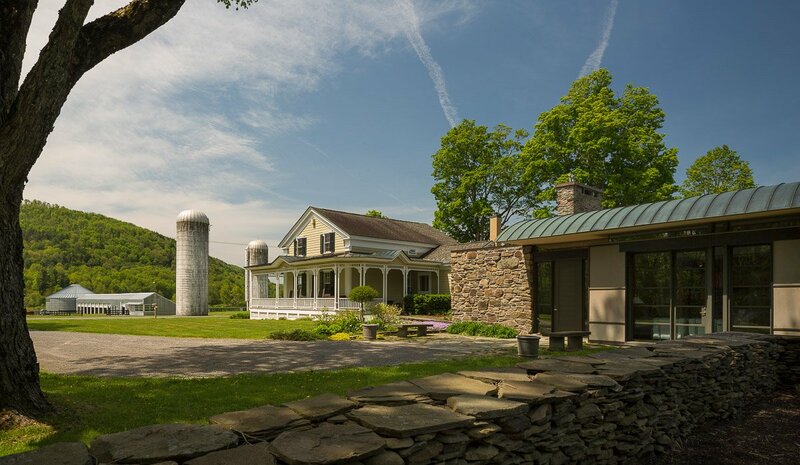 The price tag comes in at $998,000 for the house, garage, two barns and 10 acres — the price of many small one-bedroom apartments in Manhattan. 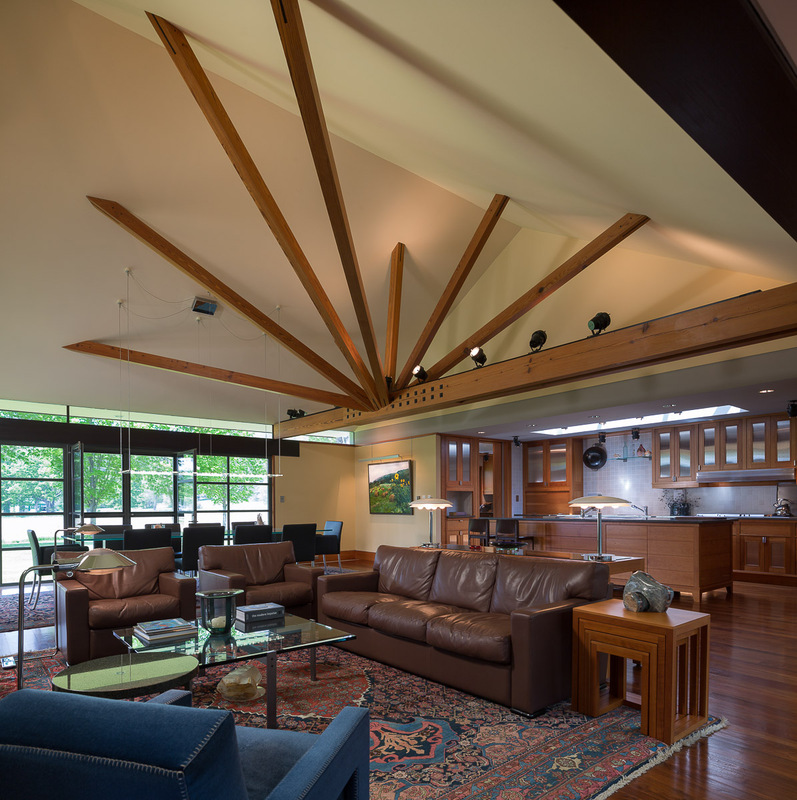 For $1.75 million, you get the entire property, which spans 464 acres. 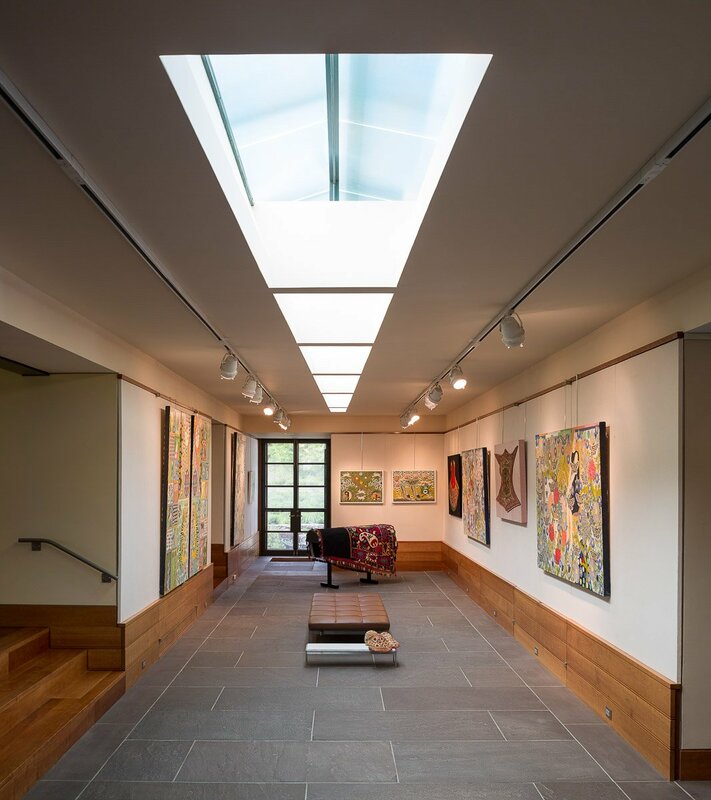 The farmhouse addition was designed by architect Peter Gluck, and its design nods to the shapes and materials of the historic barns and silos on the site. 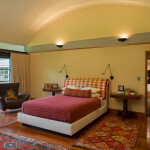 The farm house was built in 1795 for the Becker family, who passed the land down in the family for 150 years. 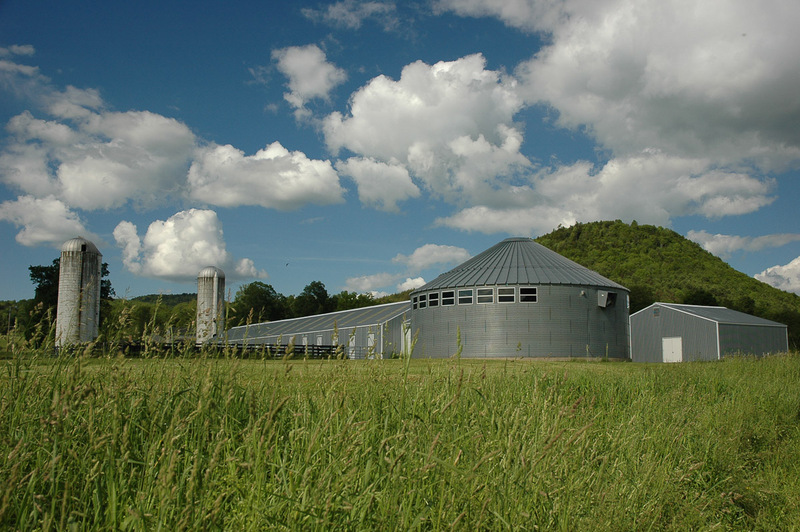 The current owners discovered the property in the 1970s and have since established it as 464 acres of USDA Organically-Certified farming land. 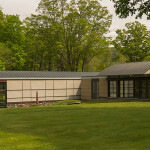 The farmhouse comes with 5,873 square feet with six bedrooms, five bathrooms, and an interior of wood, steel and stone. 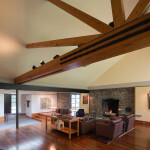 The great room, pictured above, is distinguished by entire walls of stone and the stone fireplace, as well as soaring vaulted ceiling with exposed beams. 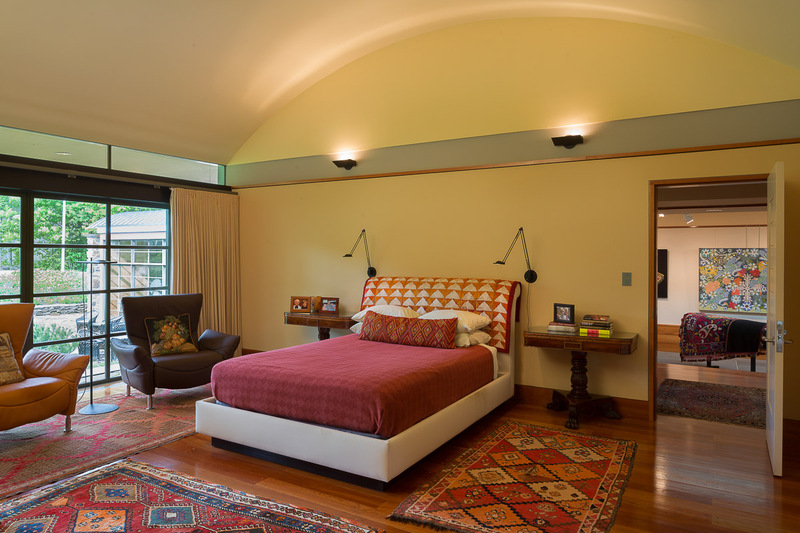 The master bedroom also has arched ceilings, with a wood stove and large walk-in closet. 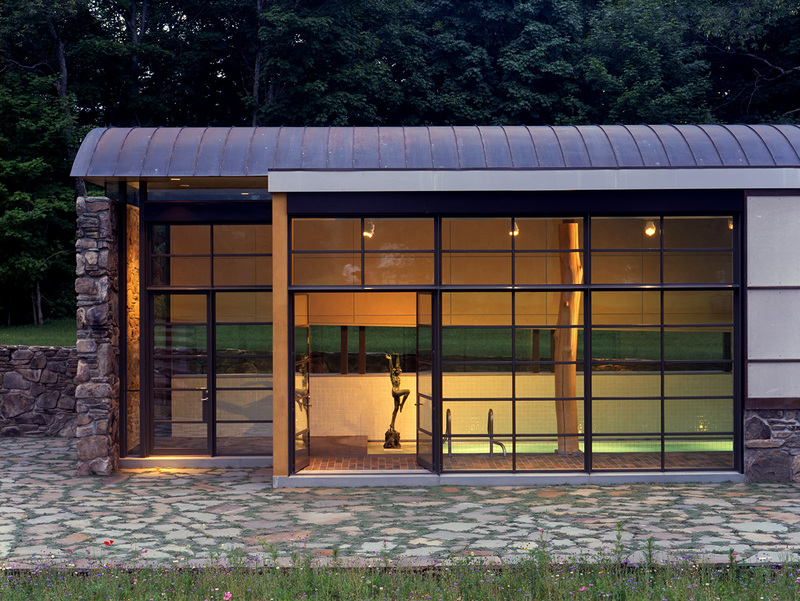 Outside of those big windows, you get Catskill Mountain views. 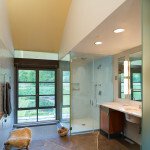 The bedroom is attached to a bathroom with a Japanese soaking tub, glass enclosed ceramic shower and marble sink. 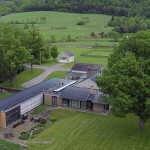 The current owners significantly expanded from the original farmhouse property. 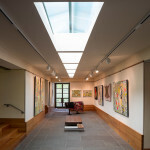 Now, in the addition, there’s an art gallery with high-tech lighting and sky lights. Don’t forget the pool addition! 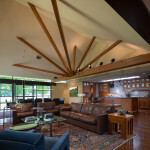 The pool room has an entertainment area with an electronic entertainment system, a wet bar, 15-foot-tall arched reflective ceiling, and polished Beech wood tree columns cut from premise. 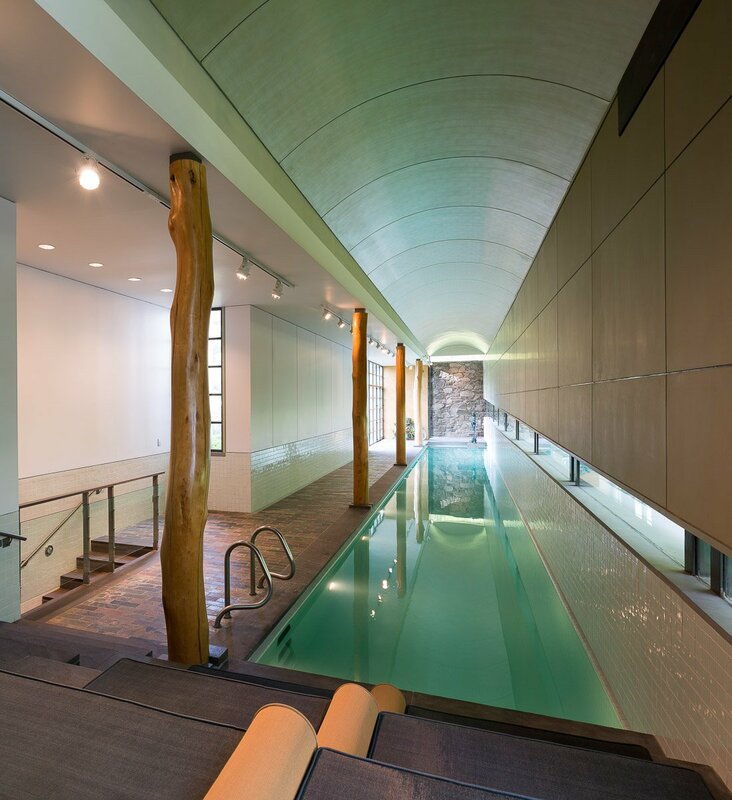 This is a 75-foot-long lap pool with a retractable cover that also includes a steam room, workout room, bathroom with two showers and radiant heat. 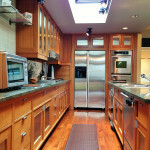 Did you think farm living could get this fancy? 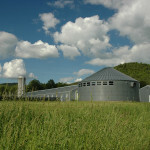 There’s also a large metal barn on site with office space, a bathroom, laundry room, garage and 11 horse stalls. 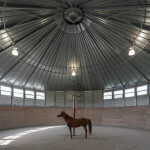 It includes a circular riding arena to take the horses. And of course, there’s that scenery. There’s a lake that’s good for winter ice skating and summer fishing and canoeing. 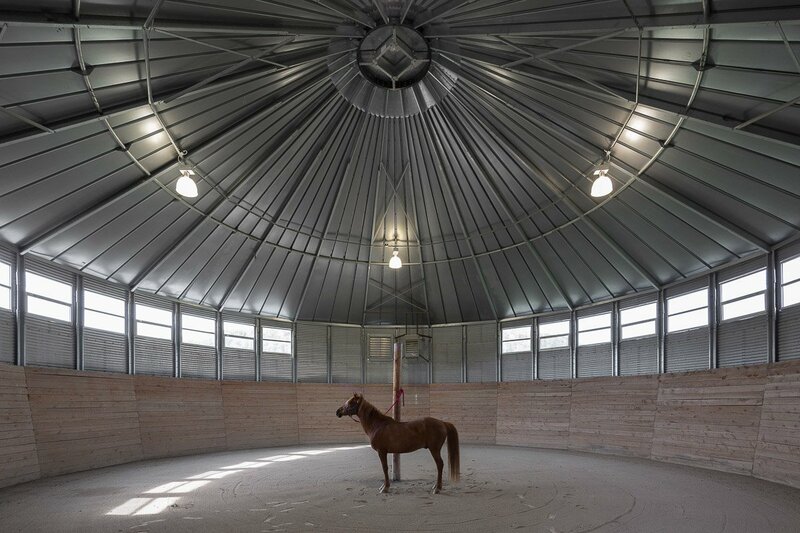 There’s space for cows and horses to roam. 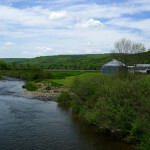 There are open fields, miles of wooded riding trails, and a trout stream running through the property. Simply put, it’s a lot of beautiful space. 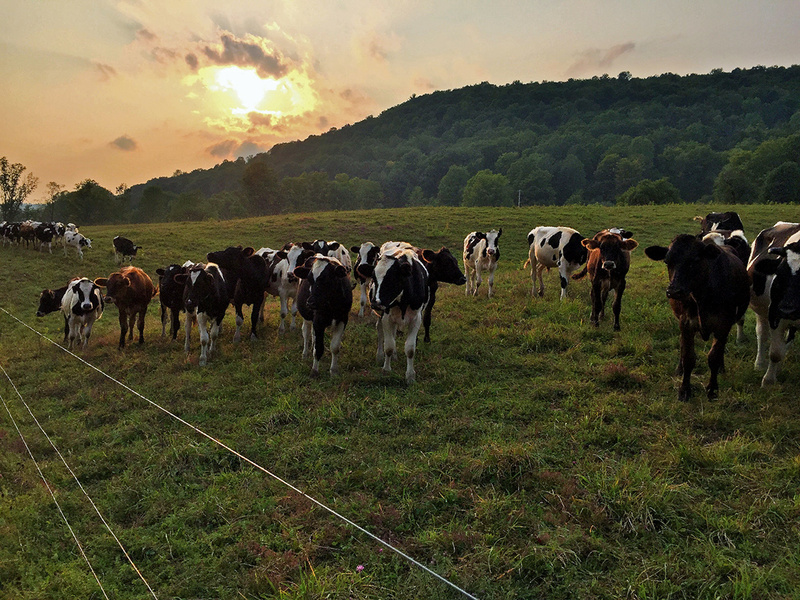 And we don’t blame you if you’re now contemplating your departure from NYC to go raise cows upstate (and take the occasional swim). Okay if we join you?